Lifestyle Lifestyle News (UPDATE) #SunwayUniversity: Student Believed To Have Commited Suicide On Campus? 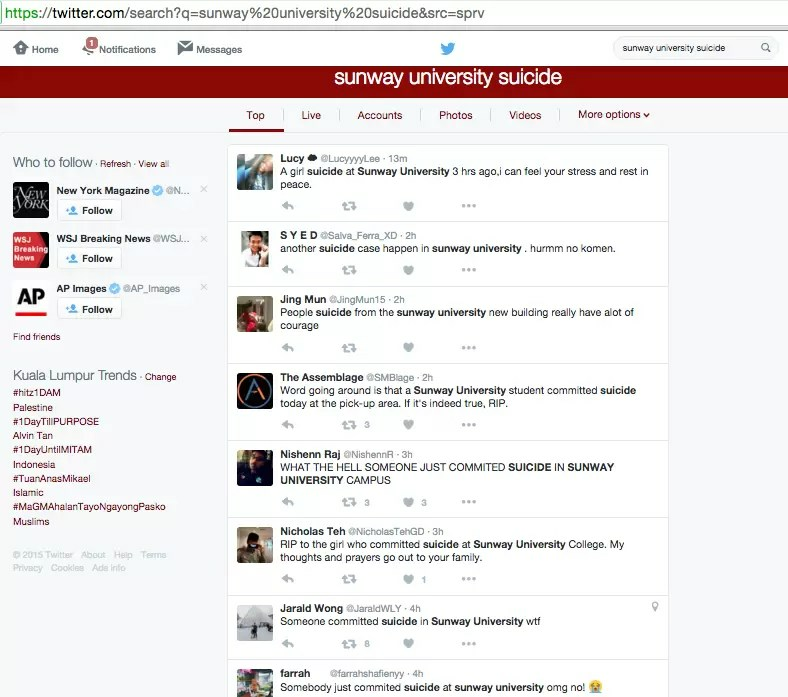 (UPDATE) #SunwayUniversity: Student Believed To Have Commited Suicide On Campus? 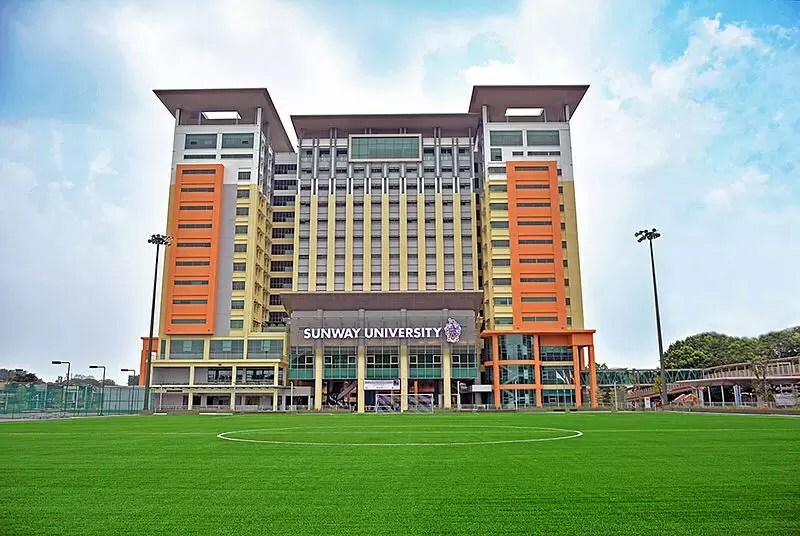 According to various social media updates, the student is believed to have fallen from the new 12-storey Sunway University building located in Bandar Sunway. Witnesses have flocked to Twitter and Facebook to confirm that the incident happened and one even claimed to have seen “an object falling” from a few floors above the 3rd floor. As at time of writing, Sunway University has yet to release an official statement regarding the news. It is not confirmed as of yet that it was indeed an act of suicide, so let’s not jump into conclusions. Our thoughts and prayers go out to the family, friends, and loved ones of the deceased. 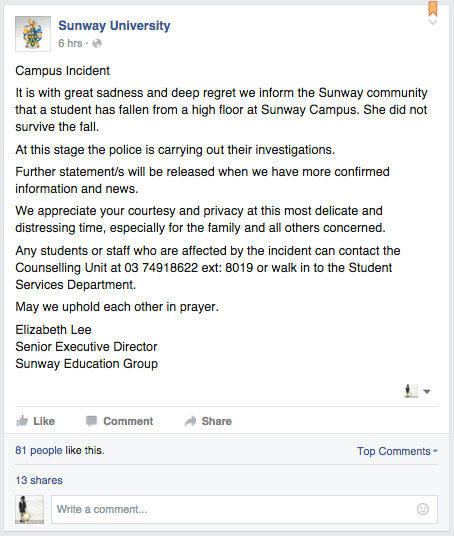 Sunway University has updated their Facebook page with an official statement from Sunway Education Group Senior Executive Director Elizabeth Lee. In the status, the university confirmed that a student had indeed fall from a high floor on campus, and that she didn’t survive the fall. The university also stressed that investigations are currently underway and thus, urged the public to respect the privacy of the deceased’s family during this difficult time. We’ll update this post with more information as soon as we have more details. Source: Sunway University’s Facebook page.